JASON: Very early in the morning while it was still dark. We are getting ready to go to the Korean Embassy for our Korean Visa. We planned to travel on November. But lo and behold, for I didn’t know that I would be receiving a wonderful news, an answered prayer, a beautiful surprise! When Gia revealed to me the positive result of her pregnancy test. After 4 years of praying and waiting… I’m gonna be a father. GIA: I am still in disbelief! I sent the video to my mom, my sister and my aunt in the States. And my sister was the first to react! She was also in disbelief! Totoo ba yan? Hehe.. Even I couldn’t believe my eyes. It took a while for it to sink in! My OB was also surprised. She advised us to confirm the pregnancy by taking an HCG test. It wasn’t necessary but just for us to confirm it we have the option to take the test. I was so keen on taking the test but Jason wasn’t for it. As for him the PT confirms it and that was that. I kept reasoning that what if it was a false positive (even if the line was so red! ), and besides we were already in BGC. I wish I could say that I was submissive during that time but I insisted… Looking back I realized that parenting began there. How we would react as a couple and be unified in a decision regarding our child. WE HAD A LOT TO LEARN. Especially me. We ended up taking the HCG test which costs around 1,700 at St. Lukes BGC. Faint. I wish I had just submitted then and there. It was an expensive pregnancy test. The test was very quick though, they just had to extract blood and check if the hormones were multiplying and well… it confirms our PT as expected (by Jason). So there we were… facing a very wide road and at a loss on what the next steps would be. Even if we waited 4 years and tried to prepare ourselves emotionally, spiritually, physically and mentally, when the news hits you, you still feel overwhelmed with what lies ahead. 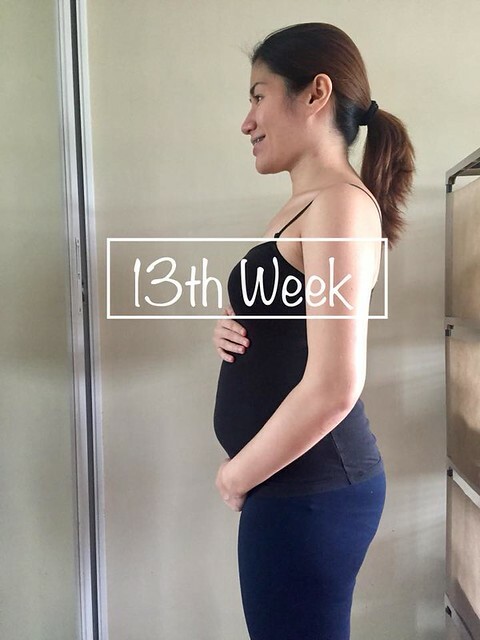 That week I felt kind of picky, but prior to getting pregnant during the conception month, September, I remember having a voracious appetite and heightened tastebuds that everything tasted so good. I still didn’t feel pregnant even if there were some symptoms. I even went to the gym that week to exercise a bit. Until that night I spotted a teeny tiny dot of red blood. Dra. Jing advised us to have an ultrasound to check the condition of the baby. Praise God for technology. We had a couple of ultrasound check ups. Seeing the embryo and hearing the heartbeat of the baby. I downloaded the app, The Bump and What to Expect and started reading the book lent to us again. I’ve browsed it before expecting that I would get pregnant a few years back and I revisited the book, Project Mom as recommended by my friend. I bought this in our first/second year of marriage. That was how soon I thought I would get pregnant, but God had other plans for us. At that time we were also praying about our Korea trip if we should push through or not? It was coming up in 2 weeks and we only had a few days to cancel our hotel booking without a fee. We had our first OB appointment this week and our other objective was to get clearance to travel for Korea on November. Doc Jing says okay as long as baby’s heartbeat increases. We prayed for it to happen. That week more symptoms came! And compared to others I found some symptoms a bit too early. I woke up one day to tasting blood in my mouth. I thought it was due to my braces but some pregnant women do have a metallic taste in their mouth. I started reading more about pregnancy and found out there are a lot of things that we should be cautious of and it’s not just sushi. Reading informed me a lot but it also gave me worries and fears. I was convicted to pray to lift this all up to God, my first few prayers during this pregnancy was to keep us both healthy and for God to teach me how to take care of the baby inside me. So I still went to work and kept my pace up in brisk walking. I love walking and this is what I enjoy about traveling – walking, taking in the view with Jason and stopping by to just eat, relax and have coffee. But anyway, there I went walking and working. I was excited for the Korea trip. For the past 2 years, every November we would go somewhere cold. The cold (weather) never bothered me anyway! But as we went for my 2nd Ultrasound test, the good news was baby’s heartbeat increased to 172 bpm! But the bad news was I was having internal bleeding called Subchorionic Hemorrhage (SCH) otherwise known as a threatened abortion. The bleed was 32cc / 32 ml and even bigger than the embryo according to the sonologist. I didn’t know if I was going to be happy or not. I was half smiling and half trembling. I didn’t know how to take it. I reported this to my OB immediately and I was instantly put on bed rest with bathroom privileges. (what does that mean???) Well it was both an answered prayer! 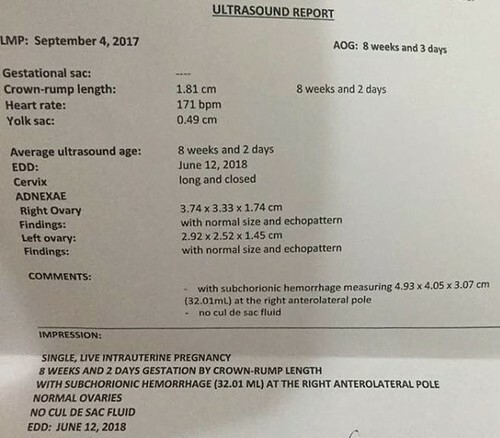 Baby’s heartbeat increased and it was so clear that we had to cancel our Korea trip. We couldn’t refund the airfare ticket and it’s completely fine. What is bed rest? I really had no idea, I had to ask around. The bathroom privilege was I could do numbers 1 & 2 and take a bath (maybe). We prayed to God to take away the bleed and keep the baby safe. I remember crying and a lie came into my mind – will it end this way? I had some fears about the bleed. But Jason was so steadfast and he seemed not worried. Enter the first trimester, but actually it’s the first trial for me as the husband… God is teaching me to step up in caring for my wife. Not only did she adjust with the first trimester but she was bed rest for a few weeks because of SCH. It was a good training for me to balance work, household chores, ministry and taking care of my wife and the baby inside her. The hardest part of the bed rest actually was that I missed hanging out and dating and doing things with Gia. If I put God first, there will be no miscarriage or infertility. I knew it my heart that it was God assuring me. These words allowed me to refocus and fix my eyes on God rather than be engrossed with the pregnancy. I really praise God for His words! They bring life. Instantly my worries were gone and because of this and despite my bed rest, God gave me peace and joy in this season and almost month long rest. God was with me all the way teaching me to be dependent on Him, to trust Him even in this pregnancy, every moment and every step of the way. Since those words, I started enjoying the pregnancy with its precautions. Truly “parenting in a real sense is the process of letting go” (Raising a Modern Day Joseph, Larry Fowler) and if I may add, pregnancy too – there is only so much I can do. I honestly thought bed rest was completely laying down / laying still. Really!! I was eating laying down. xp Good thing I didn’t choke on my food. Boy did I feel an increase to urinate! I was also drinking a lot of water, I get so thirsty often. I also kept eating maybe 1-2 hours, I was so hungry! Sleeping a lot! I was sleeping at 10am, then sleeping at 2pm then sleeping at 7pm to wake up at 7AM. Tired??? I have to admit that there were times I was led to read some articles online and watch videos about negative things and worst things that could go wrong in pregnancy. You know how when you get isolated and you gravitate towards the negative. It scared me a bit but whenever I am anxious I am reminded of this verse, and this has been the verse all throughout my pregnancy. I had my ultrasound to check if SCH was gone and praise God! From 32 cc / ml to 0! No more bleeding. I remember crying when I first saw the baby’s silhouette. I can’t believe this lovely thing is growing inside of me. I was just so happy! I was so happy to see the baby moving, bouncing and okay! I started to feel a flicker or a tapping in my tummy and I wondered if that was the baby. OB says it could be. I thank God for this life growing inside of me. I had some light spotting and immediately rested again. The past week Jason went out of town for a wedding of a friend and that 13th week we also had another friend getting married. It was hard for both of us! It was hard because when I was still on bed rest it can get sad to be home alone and you can’t move. I was also considering Jason that he was driving out of town and at night and I have been his long time navigator and I wondered if he would get lost. It was hard for him because his mind was on me if I was safe and hopefully I had no emergency because he was far away. He couldn’t completely celebrate too because he considered if I was going to be fine. We have been given the opportunity and privilege to host 2 couple friend’s wedding. One in December 2017 and the other in June 2018. Unfortunately we had to decline on both because of Gia’s condition. I had to attend alone because it was a destination wedding. Baka matagtag si Gia. We can’t help not to be together on the next out of town wedding. Tinakas ko na si Gia and sinakay sa likod ng sasakyan. Driving slowly towards the South to attend one of our Dgroup’s wedding in Batangas. That was fun and adventurous pero mahirap nung natraffic kami pauwi. It took us 4 hours I think and Gia badly needed a CR. But we survived the journey. Really! It was fun at first! I brought a pillow with me and lay at the backseat. Jason had to go because he was the best man and I was happy to tag along with him after being in confinement for almost a month. Unfortunately going home, there was some motorcade in Pasig and it was soooooo traffic! Cry! That time you really think you won’t survive but we did. It was so hard to hold my pee during the first trimester. Glad that episode was over. I thank God for my husband, Jason! He was full time working, being a husband, ministry leader and homemaker! He didn’t complain too even if I know he was getting tired. He allowed me to enjoy this pregnancy, to rest and have peace of mind with regards to the house. I thank God because he is involved with this pregnancy and I realized it does matter whom you choose to marry. I thank God for my mom, she visited often and drove all the way from our house to ours to comfort me and keep me company. She also brought home cooked food by Mama my grandma. I miss Mama and her cooking! I craved for Mama’s home made dishes.. I thank God for my sister too who was in touch often and cheered me up even if she was far away, as well as my auntie in the US. I thank God for Jason’s parents too who provided food for us so Jason did not have to cook and buy dinner everyday. 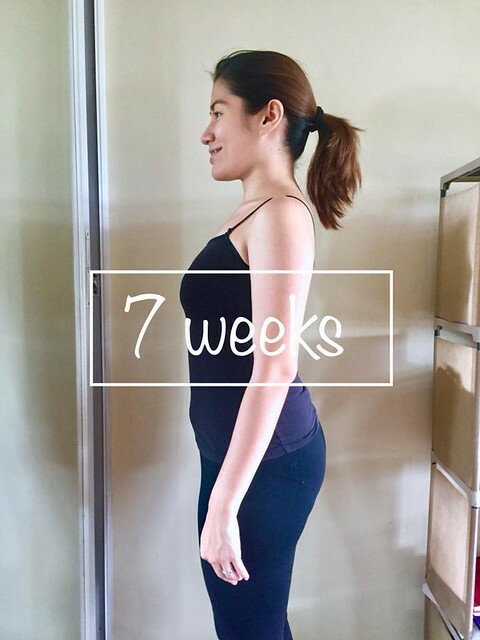 I thank God for all the preggy mommies who journeyed with me, prayed and offered support through messenger and viber too, like Cors, Ate Noemi, Kim and Dara. 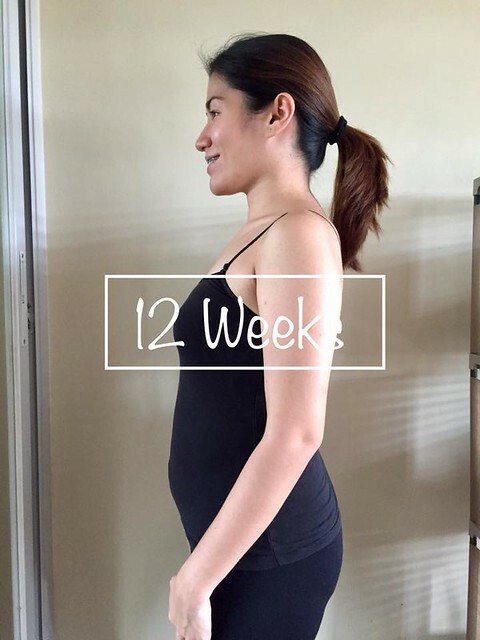 It was an eventful 1st Trimester and I really pray that the following months would be a breeze if God wills. 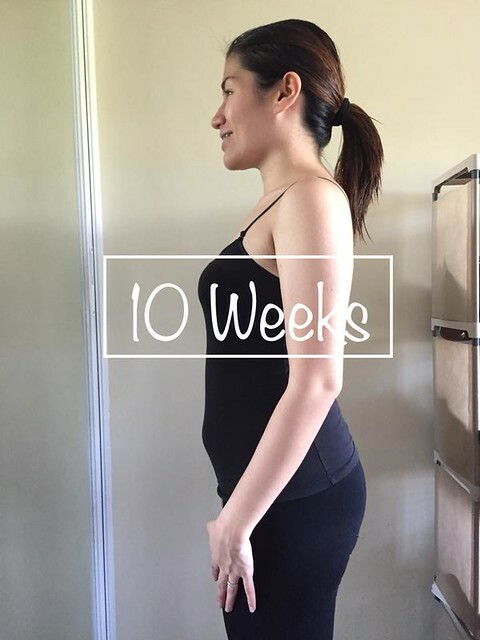 This entry was posted in Pregnancy and tagged couple blog ph, couple blog philippines, faith in God, food blogger philippines, HCG test, mommy blogger ph, mommy blogger philippines, pregnancy journal ph, pregnancy journey philippines, pregnancy symptoms, subchorionic hemorrhage by Tastebudthrills. Bookmark the permalink.